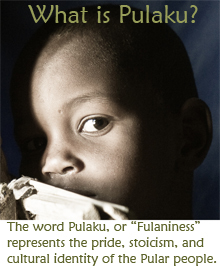 While the Fulani are widespread throughout West Africa, there are very few towns or villages that are purely Fulani. In most regions, they live on the outskirts of society, settling in their own neighborhoods or in camps outside of towns. 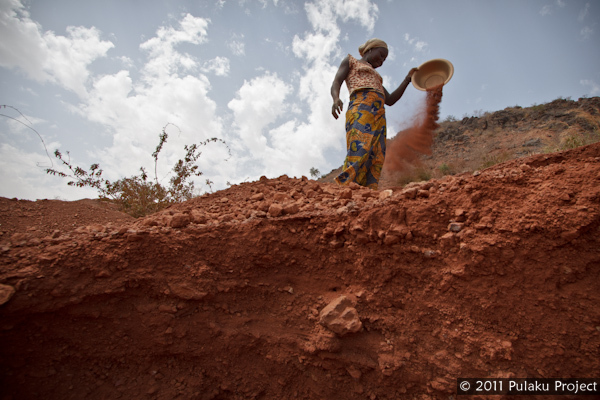 One exception lies in northern Burkina Faso: the town of Djibo and the nearby villages are nearly 100% Fulani. 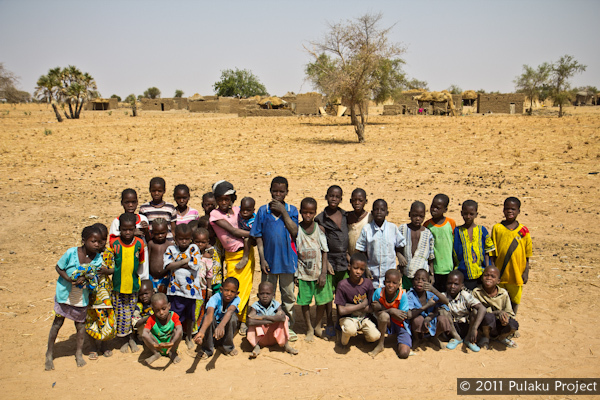 Djibo is the homeland of the Djelgobge clan whom we visited in northern Togo. 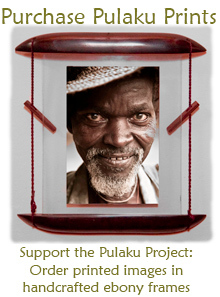 When the Fulani live alongside other ethnicities, they tend to focus on raising cattle and selling milk products. 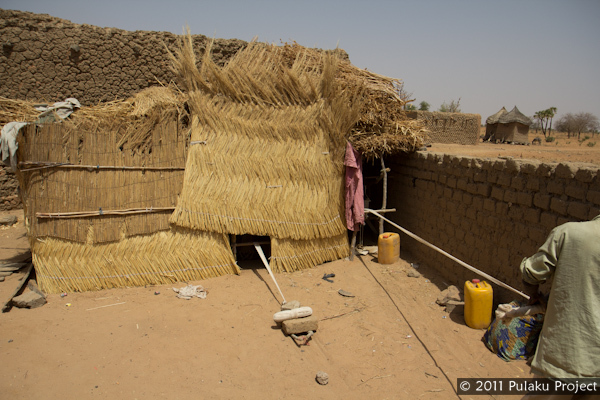 However, in places like Djibo, they occupy every position in society: there are Fulani barbers, Fulani carpenters, Fulani police officers, and even the mayor is Fulani. 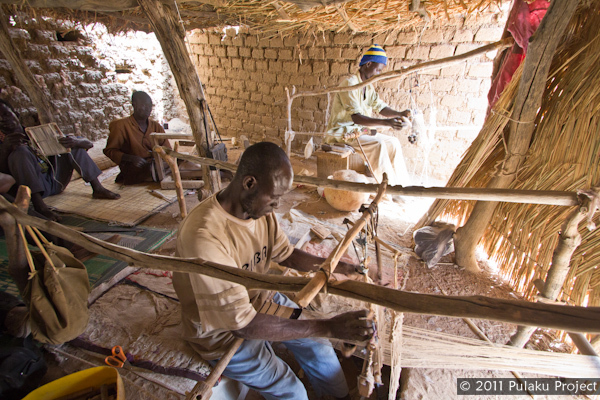 As such, we had the chance to observe a variety of Fulani crafts characteristic of northern Burkina Faso. These women are weaving sleeping mats. Certain reeds are died with plant pigment to create patterns on the mat. It takes about four days to finish a 4-meter mat, which sells for 6,500 CFA (about $13) in the weekly market. Halimatou sews pillows out of cowhide. This hut is home to a fabric workshop. The cotton is grown locally, spun into thread, and woven into thick fabric. Operating the looms is a full-body activity. They use their feet to shift the positions of the threads (see video). One man dug a hole for his feet, while the other opted for an aboveground bench. 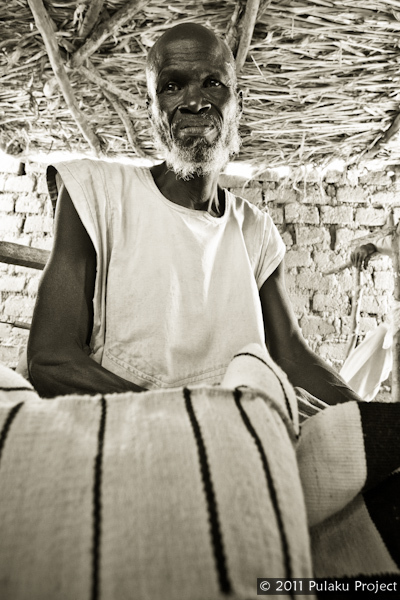 Idrissa is the head of the weavers in the village of Digataou. 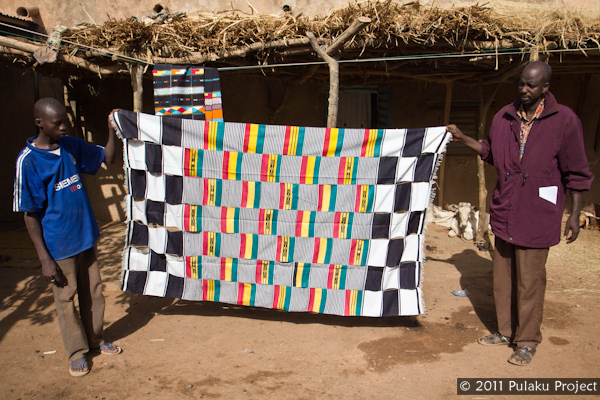 The finished product is a beautiful blanket, useful for the chilly nights of the Sahel. Even with daytime temperatures exceeding 40 degrees C (104 F), the nights can get down to 13 degrees C (55 deg. F). 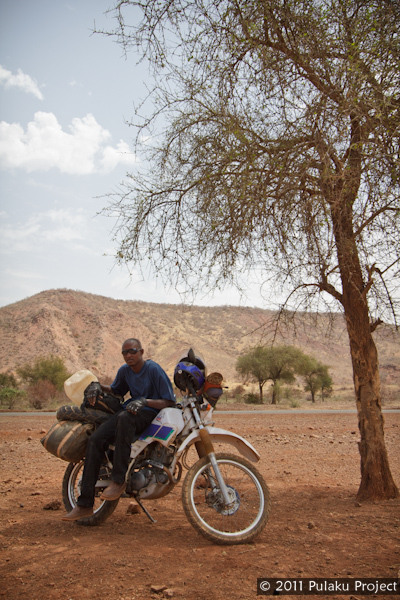 While the communities around Djibo are culturally rich, they have very little infrastructure. Unlike other regions, there is no paved road and there are very few schools. None of these children in the village of Digataou have the opportunity to attend school. 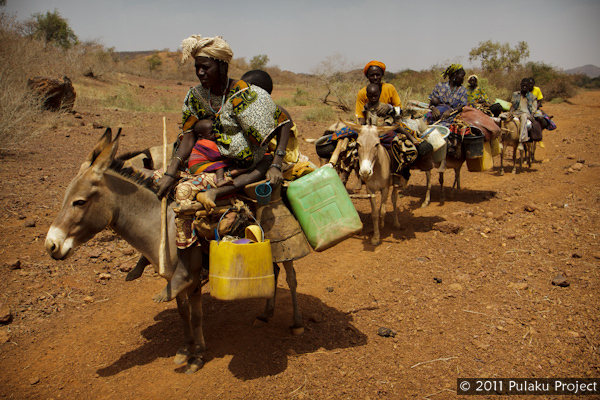 South of Djibo, we encountered this group of Bella women. The Bella are a transhumant population, similar to the Fulani, but they specialize in herding goats instead of cattle. 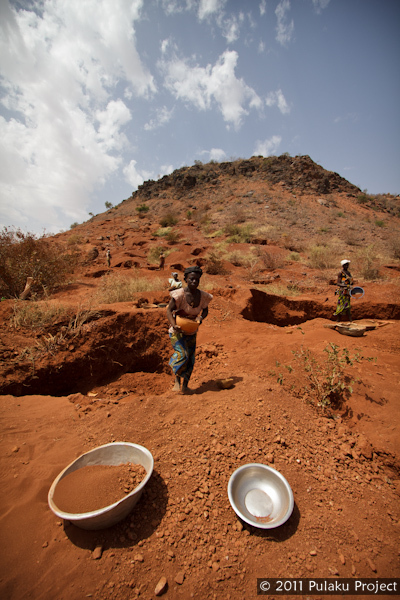 Women pan for gold in a hillside near Kongoussi. It’s tough work for a few flakes of gold each day. Guida rests in the shade during the afternoon heat. 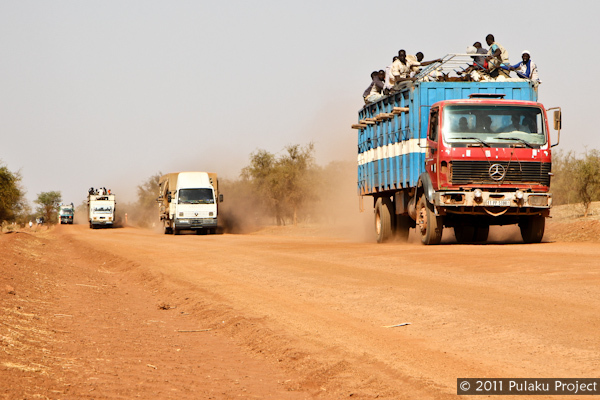 We shared the road with dozens of these trucks full of cattle and sheep for the hungry Ouagadougou market. They left us covered head-to-toe in red dust. OMG It’s so sad that they work so hard for just over $13 and a few specks of gold each day. I wish there was something I could do to help these people. Their country’s economy could be improved in so much more ways than one, to make a better life for them all. But the culture is indeed rich and overwhelming. It’s seems to me that they adhere to tradition and their way of life and are all completely set in them. 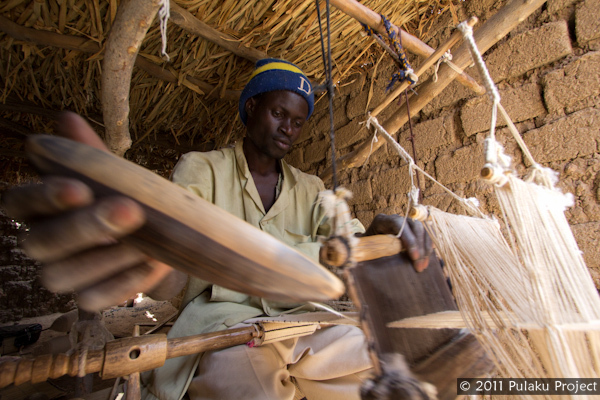 It is beautiful that the entire village is a part of the blanket making industry, teaching even the young the trade.